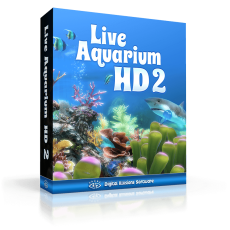 Live Aquarium HD 2 lets you choose among 2 intricately detailed 3D underwater scenes. You can populate your aquarium with up to 100 fish from the selection of 27 highly detailed species of fish with complex swimming behaviors and artificial intelligence. 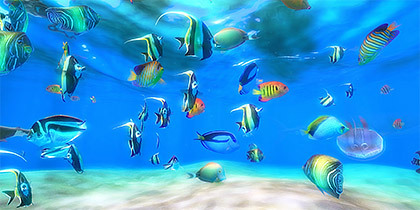 Using your mouse pointer, you can play with your fish pets and touch them by their tails or noses. 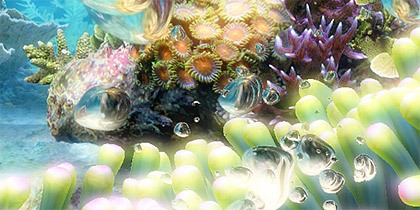 They will stop to inspect or dart away into safety. 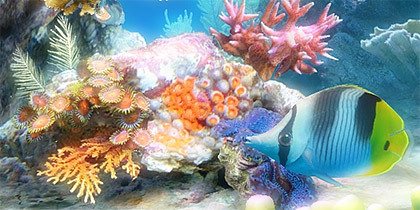 You can also feed the fish, but unlike the real fish, they won't turn upside down and float up if you don't feed them regularly.